It has now officially been a week since I left Oklahoma, but it seems like so much longer. 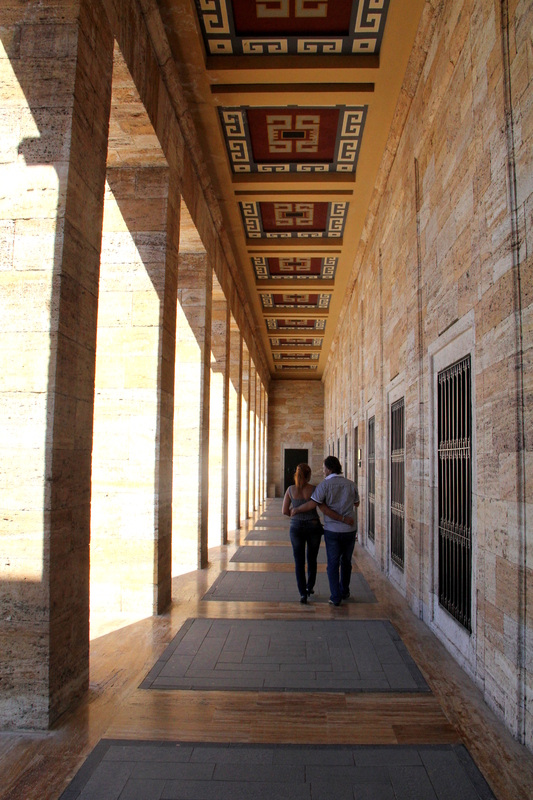 Each day here in Ankara has been quite full, taking in a lot of information, meeting new people, visiting a few sites, Turkish lessons, details about our upcoming adventure, and a decent variety of food. 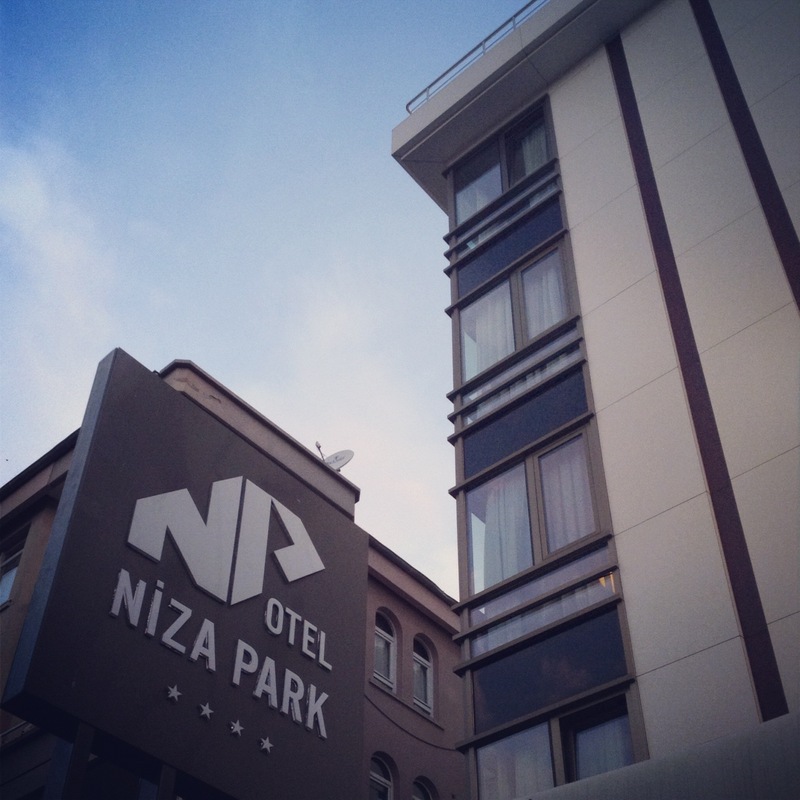 Our group of 60 Fulbrighters are staying in Niza Park Hotel in a nice district of Ankara. There is an abundance of activity mere blocks away, so we are able to venture out in the evenings and explore. Our sessions start in a conference room in the basement of the hotel at 9:00 am every morning and last until around 5:00 or 6:00 pm, with a break for lunch in the hotel on most occasions, and followed by dinner in the hotel. There is thankfully some time to get out, go for a stroll, and socialize with the others at the end of the day, because sitting all day in various sessions– though they have mostly been wonderful– gets tiring. 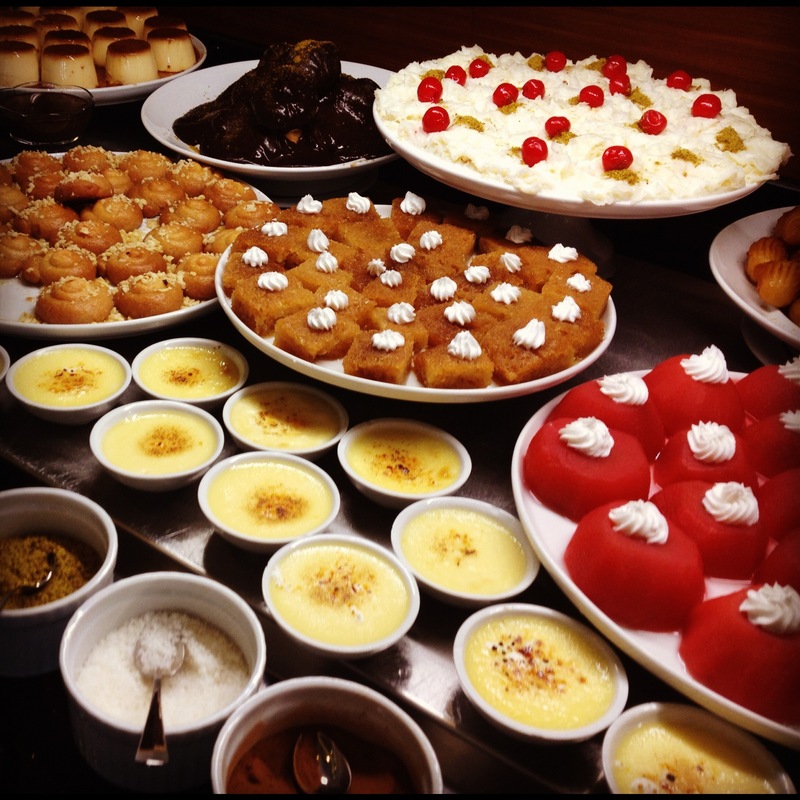 We have had a significant number of Turkish lessons, though people are all on differing levels. Thursday Eric and I met with the Vice President of our university, who made the long journey up from Osmaniye just to greet us and talk with us for a few hours. His name is Dr. Aykut Gül and he was wonderful. Very friendly, inviting, and energetic. We are already planning to visit his office to sip tea with him. We also spoke with our contact Efe on the phone to touch base. We will depart Ankara this Thursday and fly to Adana, where Efe will meet us and drive us the hour to Osmaniye. There we will start out staying in the university guest house until we find roommates and apartments. 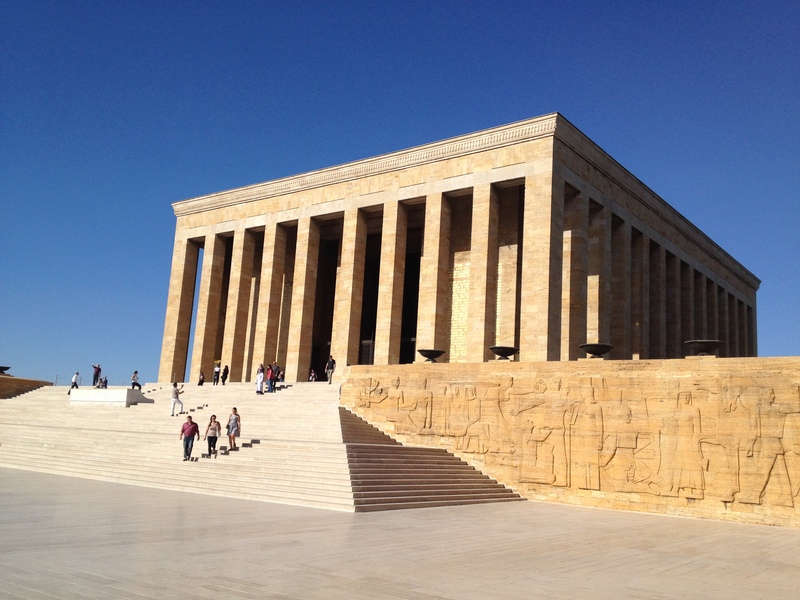 Earlier this week we were all bussed across town to tour Anıtkabir, the mausoleum of Kemal Atatürk, founder and first president of the Republic of Turkey. 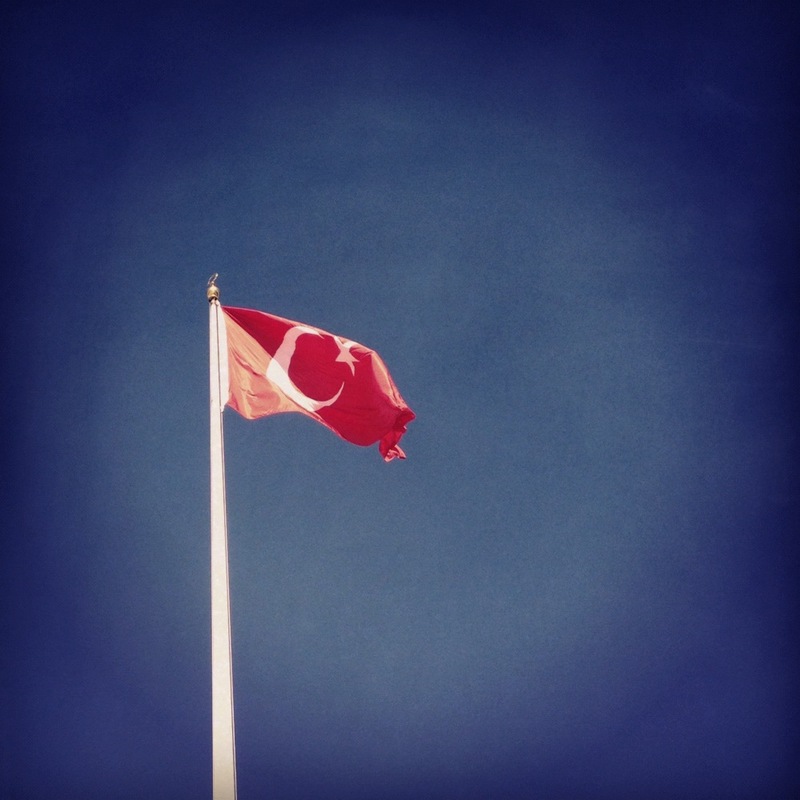 Thursday evening we were guests of the US Embassy at a reception honoring the US-Turkey soft power relationship. A group of Peace Corps volunteers from fifty years ago–Turkey’s first– had gathered in Ankara for a reunion. They spoke about their experiences and what an impact their years here had on their lives, and wished us the best of luck. It was lovely, with a fun mix of people in the backyard of the chargé d’affaires’ home. We then left that group and dined in the outside garden of a fancy restaurant with our university representatives, getting to know them better and learn more about our universities. Yesterday we spent the entire morning in Turkish lessons, then headed out on busses to the Museum of Anatolian Civilizations. First, we stopped for lunch in an old market hall built in the 16th century. The museum was unfortunately under renovation, so several parts were closed, but it was fascinating nevertheless. 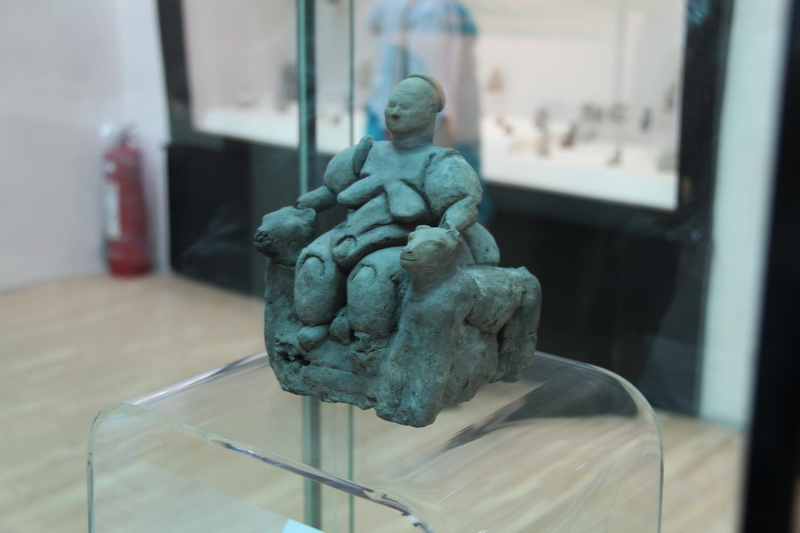 We saw a small statue of a seated Mother Goddess from Neolithic Anatolia, around 7500 BC, when women apparently ruled society, along with other amazing ancient relics. Afterwards, we hiked up to an area in an old citadel that provided an incredible view of Ankara. It was stunning, and a bit precarious climbing on rock walls. Then I went with a few folks down the cobblestone street to browse in the shops. Ohhhhh dear. I love pretty much everything! I was wooed by carpets, jewels, glass, metals, wood, cloth, spices, incense, and other such delights. I just bought a ring for now, which although it is not real silver, it cost me about the price of a ring pop. One member of our group was interested in purchasing a backgammon board, and succeeded in finding a very nice wooden board with inlaid mother of pearl. Realizing our thirst, we ducked into the Gramophone Cafe for a beverage. I had limonata with a small sprig of mint while the others each enjoyed an ayran, a popular salty yogurty drink. 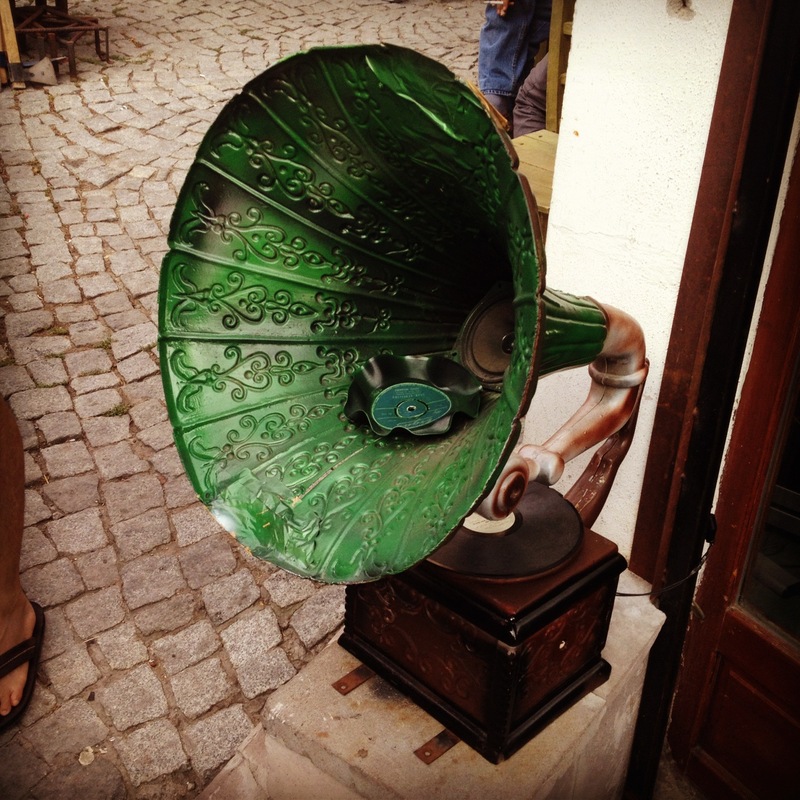 The music in this establishment was playing from actual gramophones, which were wound by hand. There was Elvis decor along with a wall of albums. Even the menus were made of small record discs! There was also a record chandelier, and a variety of old gramophones. 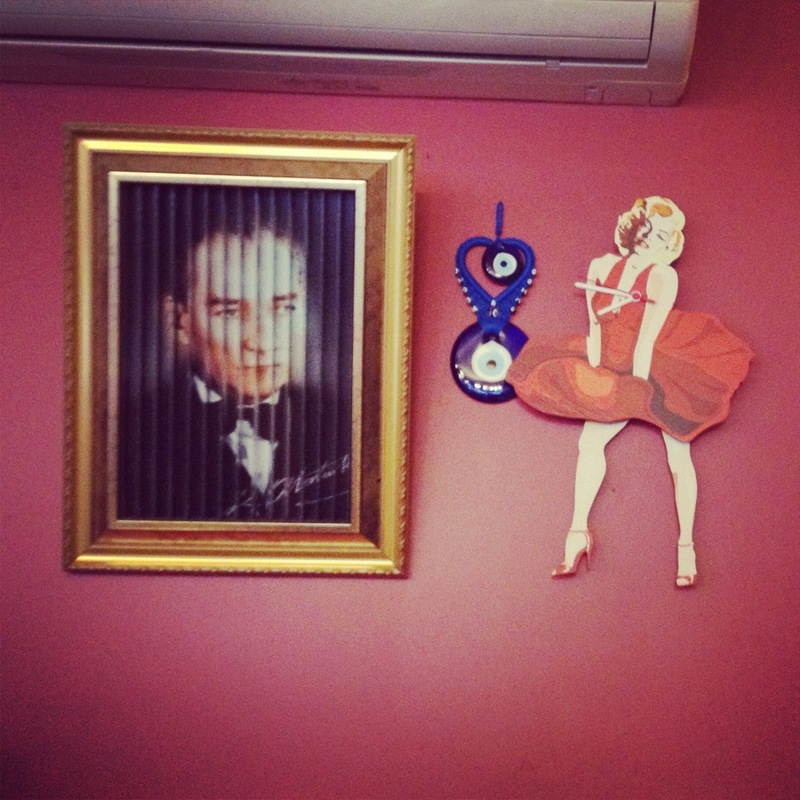 My favorite was the framed picture of Ataturk–which changed photos at different angles– hanging next to Marilyn Monroe clad in a red dress functioning also as a clock. Of course, between the two hung the ever-present evil eye. A word on evil eyes. In case you are unaware, this symbol– most often several smaller circles within a larger dark blue circle, symbolizing an eye– is believed to ward off any form of evil, most commonly that of jealousy or envy. The belief is that ill will can be bestowed upon someone with a mere look from someone who is envious. It is common that beautiful babies, for example, will be not be told how beautiful they are, rather the onlooker will say “mas’allah,” or “If God willed it” so as not to curse the child’s beauty. 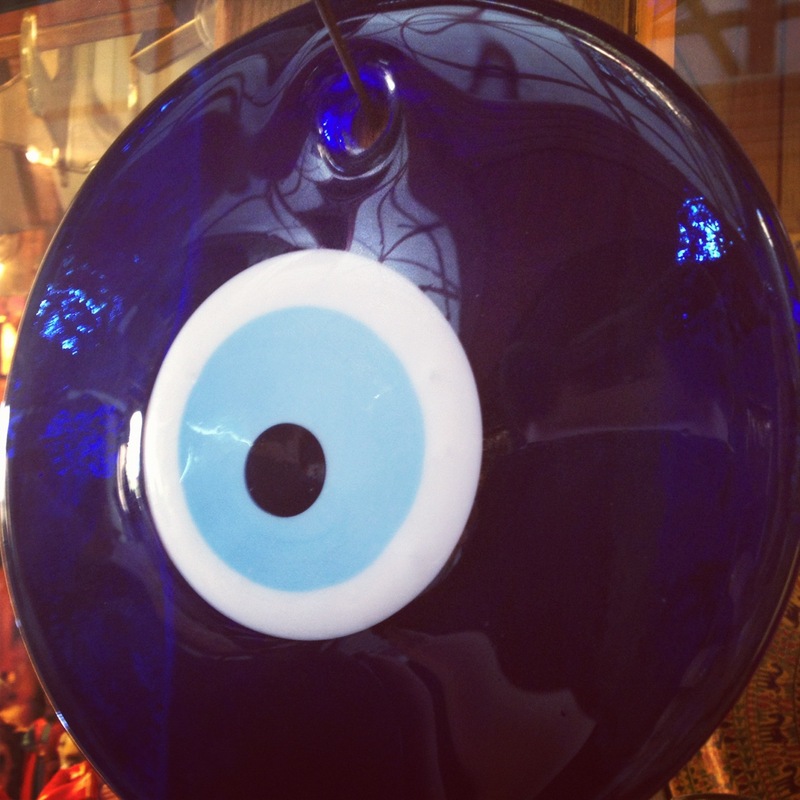 If you have this evil eye present with you it will fend off this bad karma. They are everywhere! They are funky, and I’m not in to bad karma, so I like them. Saturday night quite a large group of us went out to a night club. It is interesting to observe the spectrum of dress here. There are plenty of ladies covered head to toe, but at places like this night club there were ladies wearing super short hot pants and tiny tank tops and dancing however they pleased. 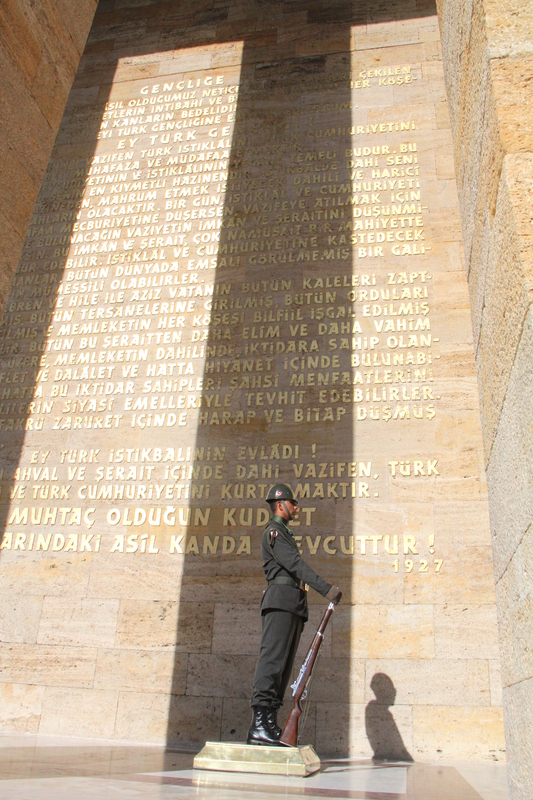 The norm is much more in the middle, and even though we are still in a large city here in Ankara, most arms and legs are modestly covered (skirts to knees, sleeves present). We had today completely off, which was much needed. I had exploration aspirations but ended up catching up on photos, sleep, and a few other things. When we arrived last Monday night we pretty much hit the ground running, so the rest was important. For our remaining three days in Ankara we will be meeting with English Language Specialists from the Embassy to go over teaching ideas and methods. It will be sad to leave all these new friends, the comfort of the hotel, and the bustling Ankara scene, but I am excited to get to my town, check it out and get settled.